The Tour of Spain 2018 will start in Malaga with a time trial, an opportunity that the mayor of Marbella, Ángeles Muñoz, has not wanted to waste and has already asked the President of the Provincial Council, Elías Bendodo, that the city is the starting point for the arrival of one of the stages, as stated by the leader of Malaga in an institutional visit this morning to the Consistory of Marbella. "I can not say no," said the president of Malaga, who pointed to some of the joint events in which both administrations will work in the near future. As the organization of the great Spanish round progresses for next year, more details will be known although Bendodo leaves on the table the commitment of the provincial entity before the requests that from the Consistory of Marbella are realized. 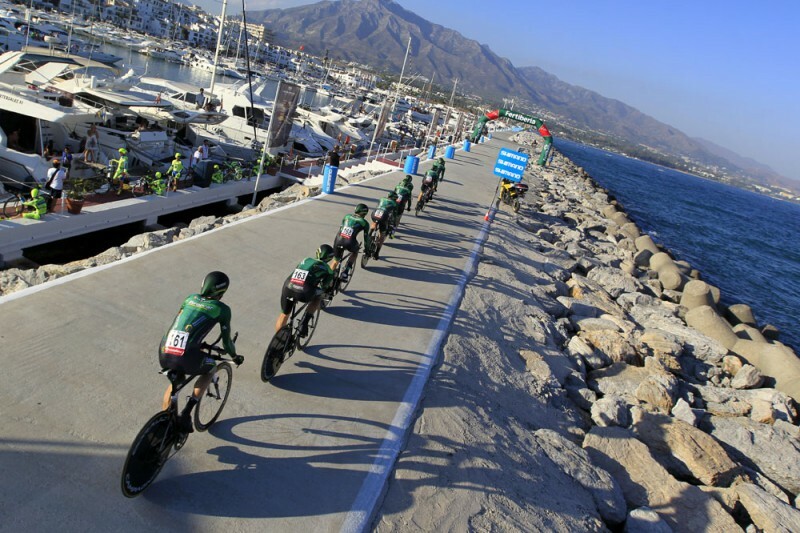 Two years ago the views of the world of cycling focused on Marbella as Puerto Banus became the starting point of the Tour in 2015. An event with a great international media repercussion and that was followed in televisions of more than 200 countries.